During TGRC’s Green Dialogues we presented our brand new Glass Recycling Band – a first for SA! 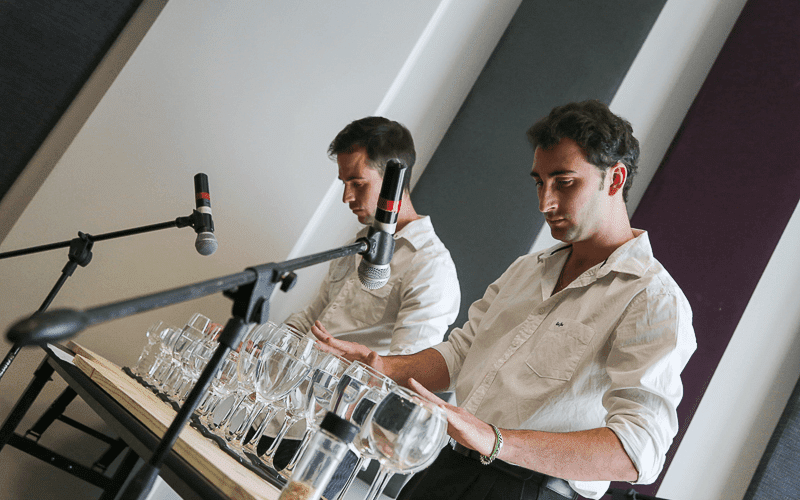 This band of accomplished musicians played specially composed music at the event using their ‘glass tree’ of hanging bottles, a glass xylophone and even an instrument of carefully filled glasses of water! The band’s goal is to show the versatility and beauty of glass.